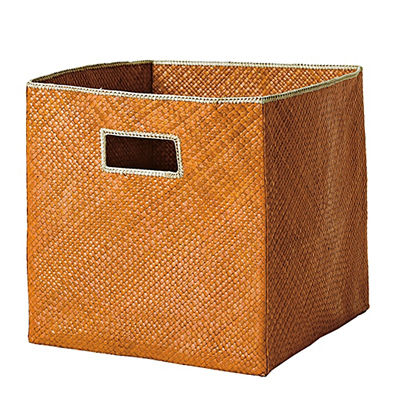 Tailored storage with a tropical twist, these textural Pandan Bins are made of sturdy, handwoven palm fronds with a stitched Natural trim. $28. Buy here.